Are you looking to find the perfect blend of Disney and luxury on your next vacation? Then consider staying at the Waldorf Astoria at Walt Disney World! Staying at the Waldorf Astoria allows guests easy accessibility to the Disney Parks as well as the opportunity to relax and enjoy the serene setting that the Bonnet Creek resort provides. One would think that a Disney fan's favorite time to go to Disney Parks would be the most popular time of year, but that's just not so. The heat and crowds of the popular summer season can almost send even the most dedicated fan into a tither. Many families choose to travel only when their kids are out of school, and this makes for crowds of (sometimes first time) guests struggling to get to their rides in elbow to elbow masses. 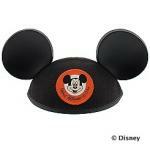 POSTED Tue, 01/10/2012 - 06:05 | POSTED BY Melissa W.
Walt Disney World has just turned 40 years old and they are not stopping. With the upcoming opening of the Art of Animation Resort, a new Fantasyland and the announcement of an Avatar land in the Animal Kingdom, Disney is also pumping a rumored $1 Billion in "Next-Gen" technology. The sale of souvenirs at Walt Disney World can be a touchy subject. Some believe that Disney simply wants to separate you from even more of what's in your wallet. Fans on message boards plan and strategize to spend as little as possible on merchandise, sometimes even pre-purchasing souvenir at home and carrying them along in their luggage. The science of marketing and impulse purchases is well in play at the Disney Parks, but bringing home souvenirs is a time honored tradition that reaches back much further back into history. Mary Blair was a talented artist who is best remembered for her work done for The Walt Disney Company. She was largely responsible for introducing modern art to Walt Disney and his studio, and her impact on his vision is seen in many Disney films and throughout the Disney parks. 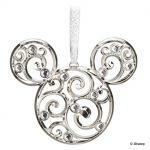 Walt Disney World Special Events, Park Time or Party Time? Time is precious when you're on a Walt Disney World Vacation, and creating your touring strategy is an important part of making the most of it. How do special events that you want to attend factor into your schedule? 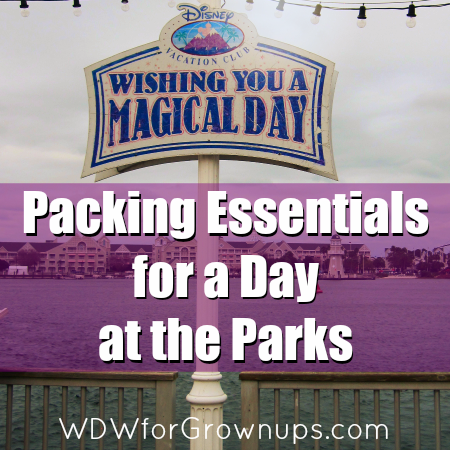 If you are spending a day at a Disney Parks there are some essentials you need to bring with you. So I thought I would put together a list of my essentials for a day in the parks as a guide for newbies.